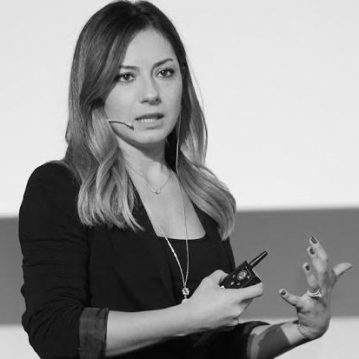 Duygu Oktem Clark is a Business Development Leader at the European Investment Fund where she leads early stage tech startup investments. Concurrently she is the Founder of DO Consultancy LLC, a boutique consultancy company based in San Francisco that is focused on corporate innovation. Prior to that, as an Intrapreneur, she founded and ran Turkey’s first corporate-run startup accelerator where she led 22 early stage investments. Before that, she was a Founding R&D Manager at Turk Telekom where she oversaw more than 40 R&D projects with an overall budget of +$100M. Prior to that, she worked for the EU Office of Scientific and Technological Research Council of Turkey where she sustained partner channels between European and Turkish organizations for more than 100 R&D projects with an overall budget of +$300M and contributed to Turkey’s national R&D Policies. In the past 5 years he has mentored hundreds of startups and served as a jury member and mentor to many startup programs including the Chobani Startup Program, Founder Institute Silicon Valley, United Nations Clean Tech, Telefonica Wayra UK and Startupbootcamp Istanbul. She is a Computer Engineer with Master Degree in Technology Management.